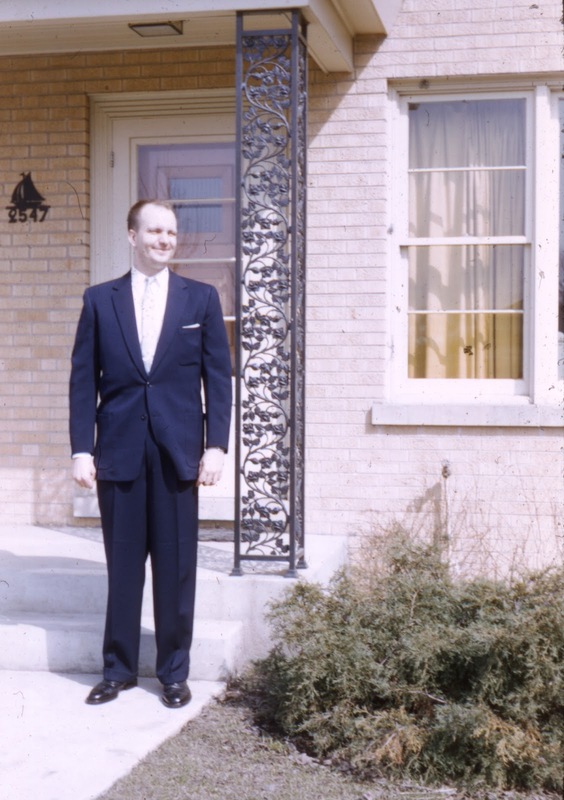 The photo of Dad was taken the same day as one I posted a couple days ago, and I think the same day as one with my mother in it too. And finally, here's the view of the home as it looked on September 10, 2017. 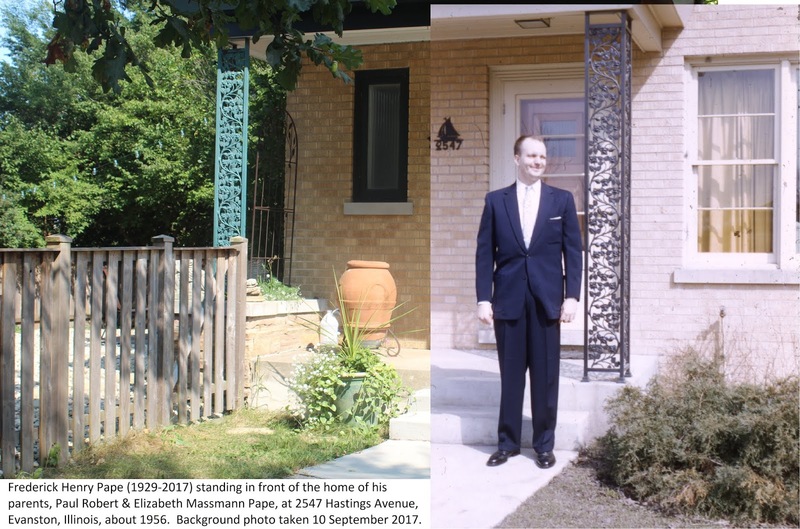 Other than being painted red and the storm door removed, the front door appears to be the same, and the house number is the original sailboat design (that also appears in a 1962 photo of my grandmother taken on these same front steps).